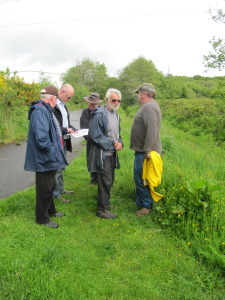 In preparation for an updated Feasibility Study for the route of new canal down from Clydach Aqueduct to the Fendrod in Llansamlet Industrial Estate, Patrick Moss from Moss, Naylor and Young and Derek Fenn from Atkins Management Consultancy joined us for a site visit. We started from the point on the Fendrod where the new canal route must leave the river and turn west and then north towards the only economically viable route under the M4 at Garth Road. The two photos shown here were taken at this point. Having gone under the M4 bridge at Garth Road by the River Tawe we then investigated a number of options for the canal. Should it go straight up alongside the Road. make its way back to the Fendrod on the other side of the M4, or head even further east to join the old railway line up to Clydach? Patrick Moss will send us a preferred option before beginning his full Feasibility Study which will be ready by mid July. We thank both Patrick and Derek for their support and enthusiasm for this project. 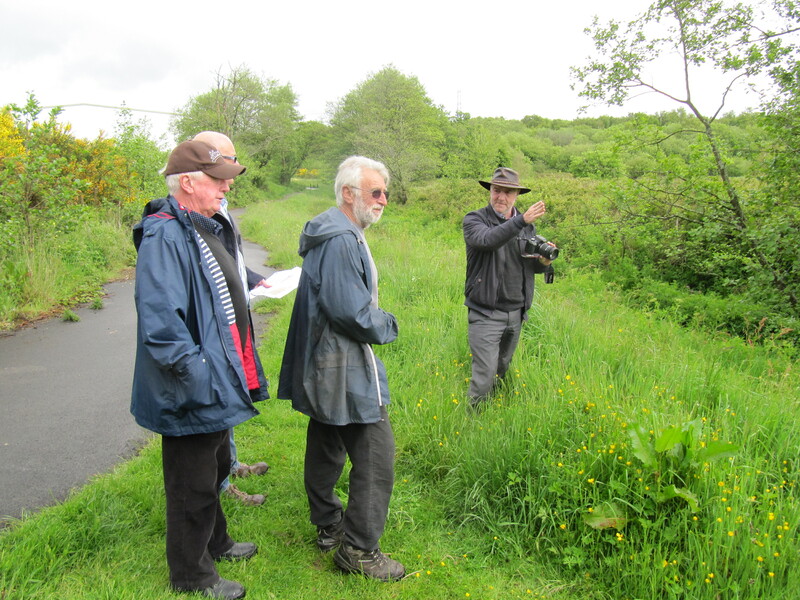 Previous postWork Party Clydach Lock 26.5.15 Next postCANOES 31.5.15.